It’s in the rhythm of the dialogue — it has a Joss Whedon vibe. Henry Cavill also gets a moment to remind us of how well he might play Superman, if somebody would actually let him play a Superman we might like. Thanks to Whedon (and somewhere in there, Zack Snyder), we might even like Ezra Miller as The Flash, though Grant Gustin could have just as easily filled those inexplicably metallic scarlet boots. 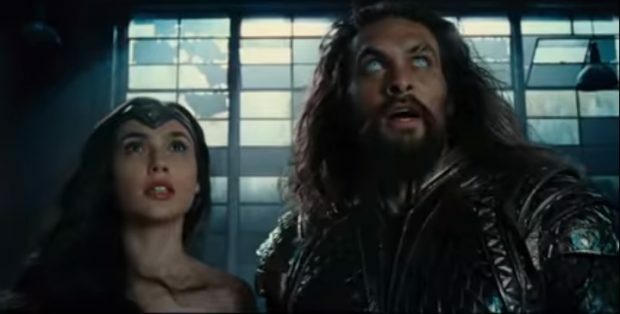 But there’s nothing to qualify about the charisma of Gal Gadot as Wonder Woman, and the utter rewriting of Aquaman’s coolness that Jason Momoa is bringing to the table. He’s going to become as big an icon in the mainstream as Gadot became for her Amazon. They’re shooting stars in a franchise that desperately needs them.